Editors’ note: Starting this issue, The Volunteer will feature a quarterly guest column by a prominent Human Rights activist. 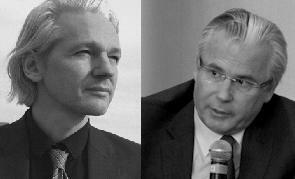 In dramatic news last month, Baltasar Garzón–the acclaimed Spanish lawyer and former judge who built his career on doggedly pursuing accountability for human rights crimes–agreed to head the legal defense team for Julian Assange in the Wikileaks publisher’s efforts to avoid extradition to the United States via Sweden. If there is such a thing as a perfect match in this high-stakes legal predicament, this is it: both men, are smart, courageous, and command worldwide respect for their willingness to speak truth to power. And in a trend that only serves to underscore the need for such truth-tellers, both have suffered severe consequences for their unwavering commitment to truth and accountability. Garzón’s rise to global recognition can be most attributed to the international arrest warrant he issued against Augusto Pinochet, the former dictator of Chile, on the grounds that Spanish citizens were among the many whom his regime had tortured. The warrant, the first use of what is known as universal jurisdiction against a former head of state, resulted in Pinochet’s house arrest in London for 18 months. Fearing what Pinochet’s arrest might mean for their own high officials accused of committing human rights crimes, the world’s most powerful nations did not support Garzón, or the arrest and, ultimately, the United Kingdom allowed Pinochet to return to Chile. Contrast the treatment of Pinochet, a man responsible for unspeakable horrors, with that of Julian Assange, a journalist who helped to expose them. Recently, the Government of Ecuador granted Assange asylum at their embassy in London after determining that he faces persecution in the United States. Rather than the respect afforded to such internationally protected persons, Assange finds himself confined to the embassy, police officers at the ready to detain him at his first misstep. Extraordinarily, the British government has not stopped there, further violating fundamental protections of international law by threatening to storm the embassy. Had Assange been named Pinochet, he’d be on a first-class flight to Ecuador. Yet despite attempts to silence both Garzón and Assange, neither shows signs of yielding to the pressure. Operations at Wikileaks, the organization through which Assange works, have been diminished by the U.S.’s successful pressures to cut off the means of funding, and by the abhorrent treatment of whistleblowers like Bradley Manning, the U.S. soldier who allegedly gave Wikileaks millions of documents regarding U.S. criminality. Still, Assange continues to speak out in the media, hoping to regain the right to practice journalism without the ever-looming threat of persecution. Criticism that Garzón received from powerful states for his willingness to take on the dictator Pinochet did little to deter him as well. In addition to many international investigations Garzón opened since, his actions at home in Spain actually cost him the most. In 2008, Garzón initiated an investigation into the crimes of the Spanish Civil War, particularly those of the Francoist regime. Garzón sought the truth about war crimes and wanted to determine what had happened to over 100,000 people who disappeared. He declared these crimes to be crimes against humanity, correctly stating that such crimes could not be amnestied as Spain had attempted, and that disappearances were a continuing crime not barred by a statute of limitations. These actions enraged the right in Spain and not soon after, Garzón was suspended from working as a judge for 11 years. On what grounds? The official line is that Garzón was found to have exceeded his authority in a bogus case concerning a wiretap order that is currently on appeal. The reality, as most acknowledge, is that he was being punished for attempting to expose the ugly truths of the Spain’s civil war. Similarly, Wikileaks’ digging into the dirt of U.S. war crimes in Afghanistan and Iraq, and exposing a secret war in Yemen, along with the corruption, hypocrisy, and double-dealings of the State department have made Assange a target of the U.S government. The world’s self-styled shining example of democracy is bent on stopping Wikileaks and making an example of Assange that will send a message to others: exposing U.S. criminality is itself a crime and the consequences for doing so include life in prison, and possibly the death penalty. The United States finds it convenient to forget that it has granted asylum to journalists and publishers that expose criminality around the world. Yet U.S. officials obfuscate their intentions by claiming that Assange took refuge in the embassy to avoid answering questions about alleged sexual misconduct in Sweden. On the contrary, Assange has said repeatedly that he would answer questions from the Swedish prosecutor in London but Ecuador’s request to Sweden to do so has been rejected. Assange has even made clear that if he received a guarantee that he would not be extradited from Sweden to the U.S., he would go in person. So far, no such guarantee has been forthcoming and likely will not be, as the United States has either already indicted Assange or will. Notable in the saga of Garzón’s and Assange’s shared struggle for accountability is Wikileaks’ role in exposing U.S. efforts to impede Garzón’s work to establish U.S. accountability for torture, long before he and Assange had met. Garzón attempted to investigate U.S. government officials responsible for carrying out torture at Guantanamo—torture that included Spaniards as victims. 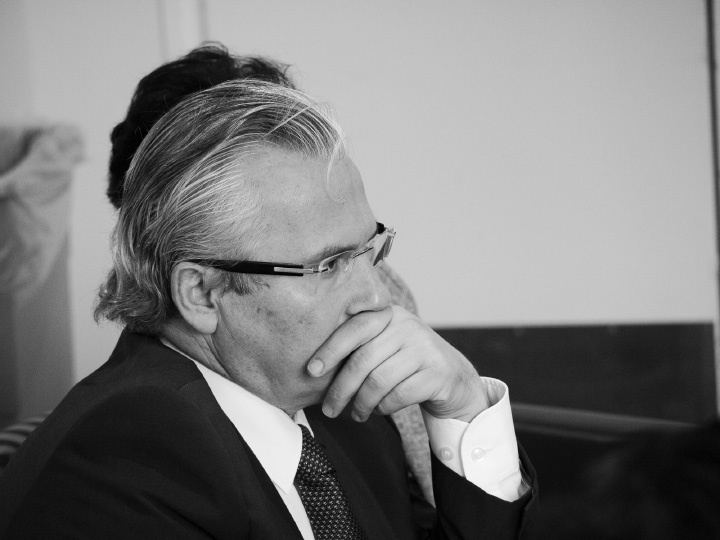 Contrary to its claimed belief in an independent judiciary, Washington made every effort to stymie those investigations and insure that Garzón would not be the judge in the case. State department cables released by Wikileaks detail numerous meetings between U.S. and Spanish officials officials in which the U.S. government tried to influence or end the criminal proceedings. The U.S. did manage to get rid of Garzón, but to its dismay, the Guantanamo torture investigation continues with the Center for Constitutional Rights among the counsel. If there is one takeaway from these shared experiences in truth-telling and courage, it is a note of extreme caution: never doubt the mendacity and cruelty of the state. It will make pariahs and outcasts out of those who will someday be recognized as heroes. Unmistakably, history will place upon that list the names Bradley Manning, Julian Assange, and Baltasar Garzón. Michael Ratner is President Emeritus of the Center for Constitutional Rights. He and CCR are US counsel for Julian Assange and Wikileaks. My heart sunk when I read the news that Baltasar had taken on this case thus confirming some people who care about him’s worst suspicions. There are scores of people and organizations far more worthy of and in need of Garzon’s skills and star power. Assange is bad news. Even if one were to find motives for feeling sympathy for him the smart choice would have been a less conspicuous lawyer. What this duo are mainly about I am sadly forced to conclude are their own appetites for media attention. Impunity and responsibility are the mutually exclusive concepts over which the war against official abuse of power is being fought. Democracy requires that officials accept responsibility for their actions; the impunity they crave rests on self-serving laws (e.g., Pinochet’s little 1978 law granting him immunity from prosecution for whatever crimes he might commit in the future!) and secrecy. Assange and Garzon are both fighting against impunity. Assange may seem like small fish for Garzon, but Wikileaks is the dart that may break the bubble of denial around the War on Terror. If this goes to trial, one can only wait with baited breath to find out where the discussion may lead. Might we even see an honest public debate over the fundamental direction of Western relations with politically active Islam?